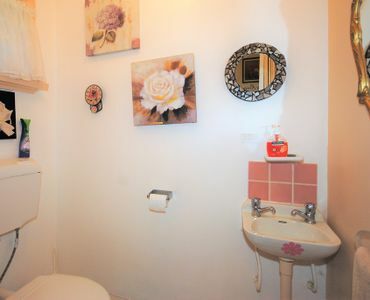 Sitting on a huge allotment of approx. 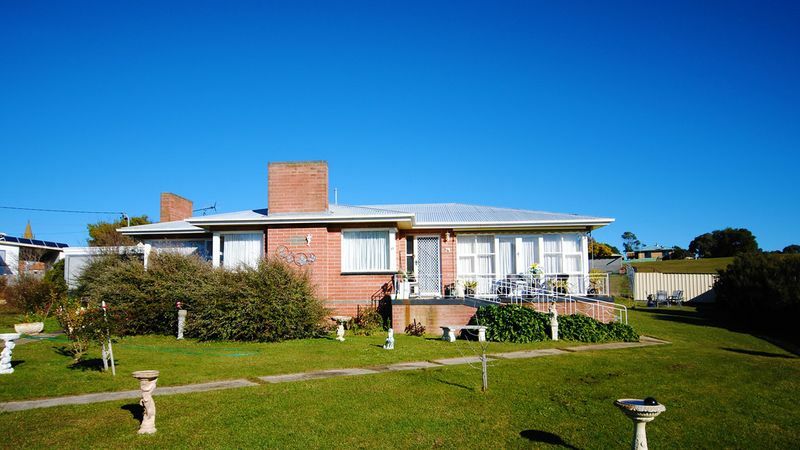 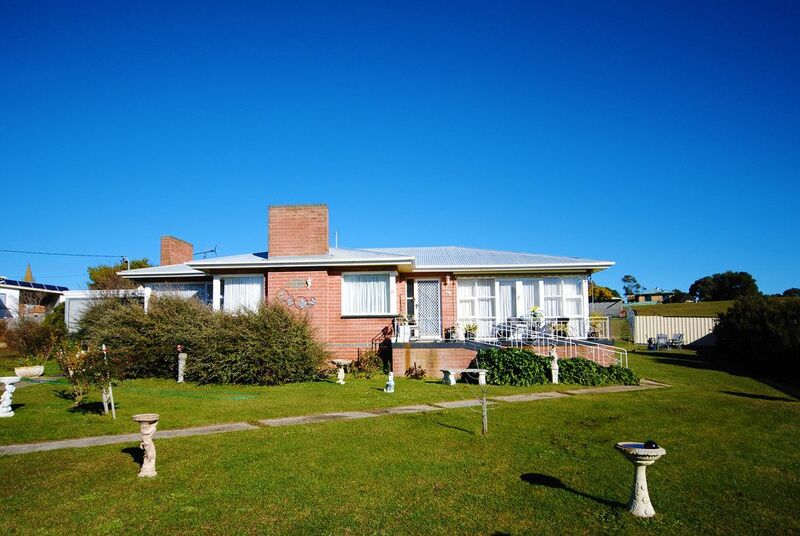 1340m2 with 2 titles is this solid, brick home. 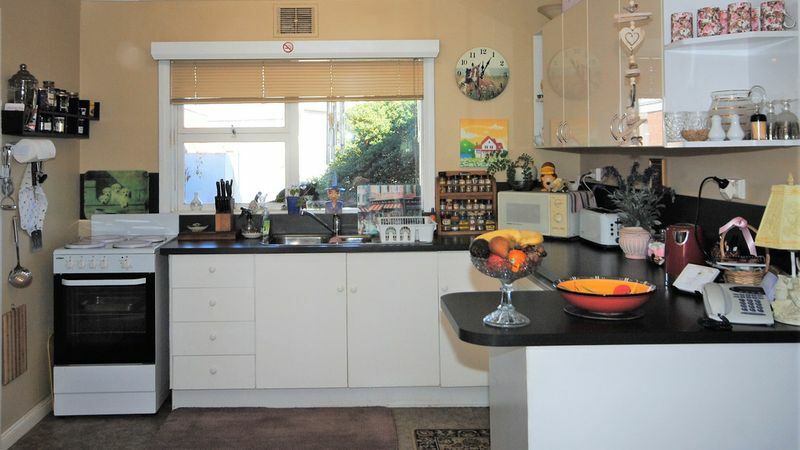 The north facing and elevated position ensures all day sun and the location means it is an easy stroll to the shops and cafes on the village High Street. 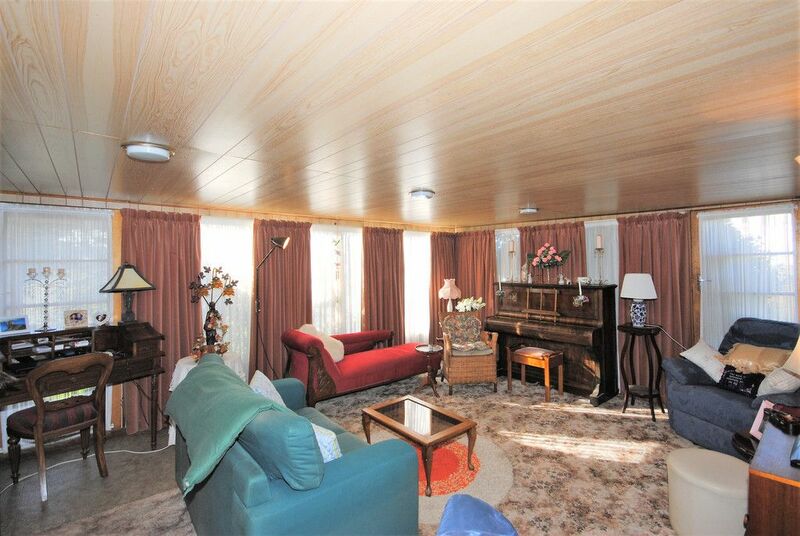 The house was designed to be disabled or infirm suitable with entrance ramps, wide halls and sliding doors. 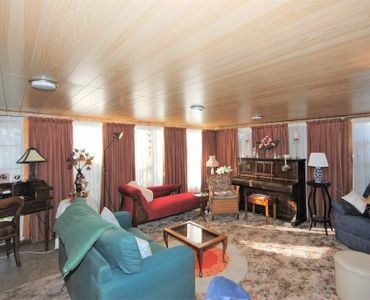 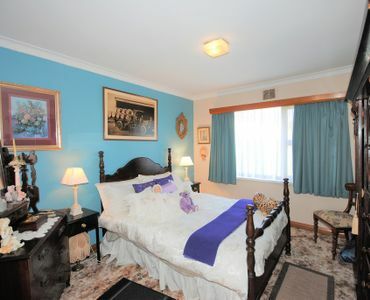 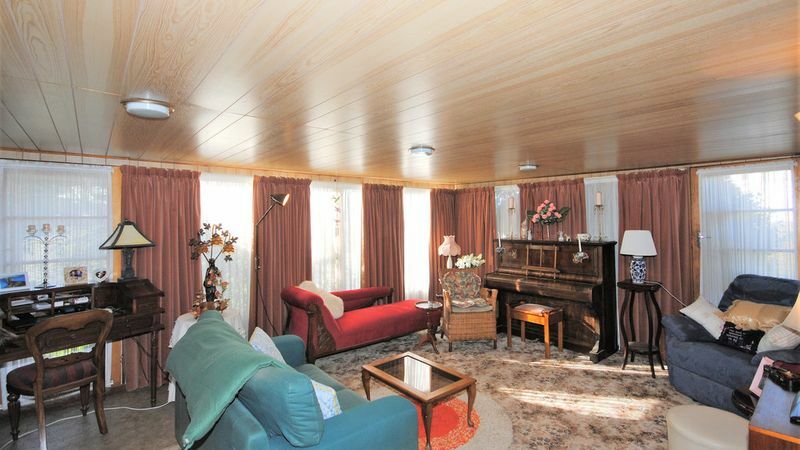 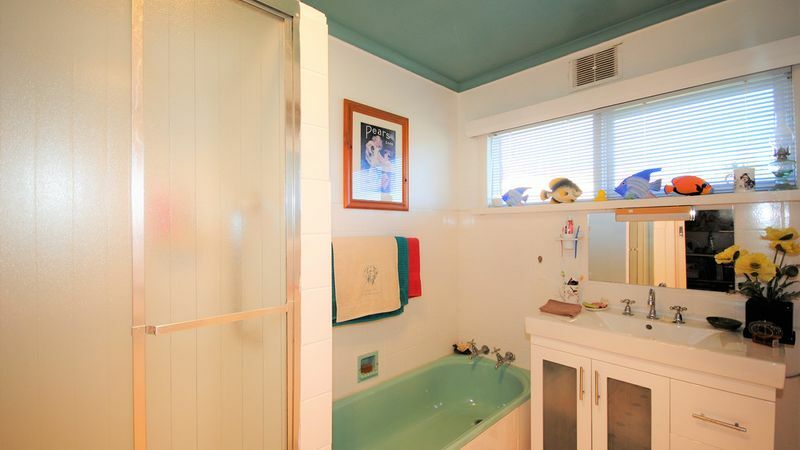 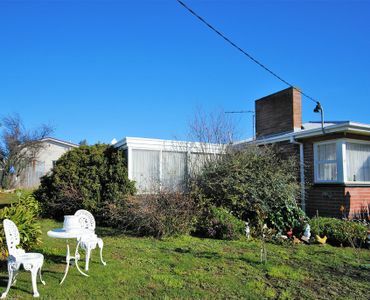 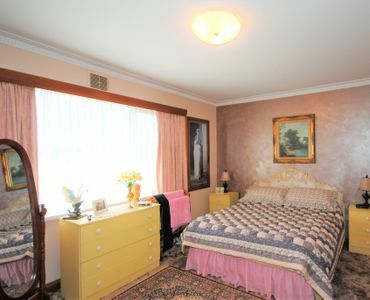 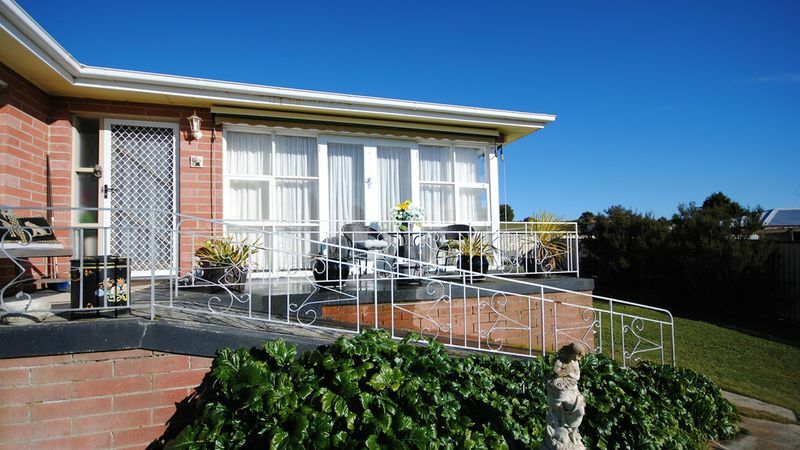 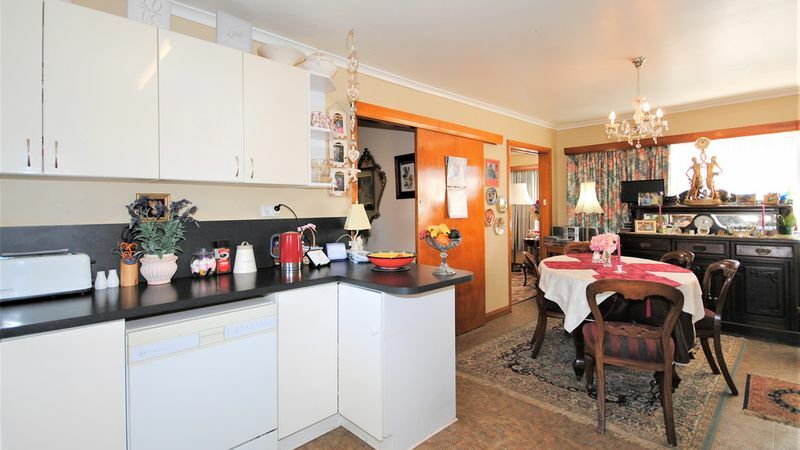 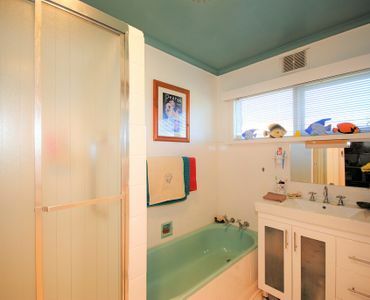 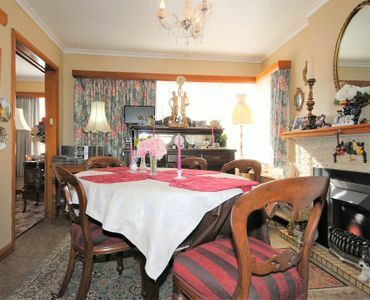 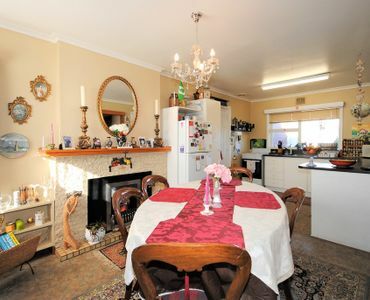 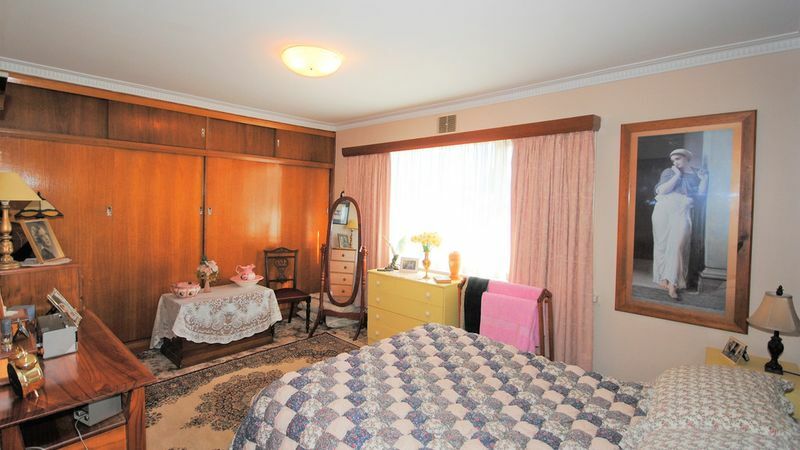 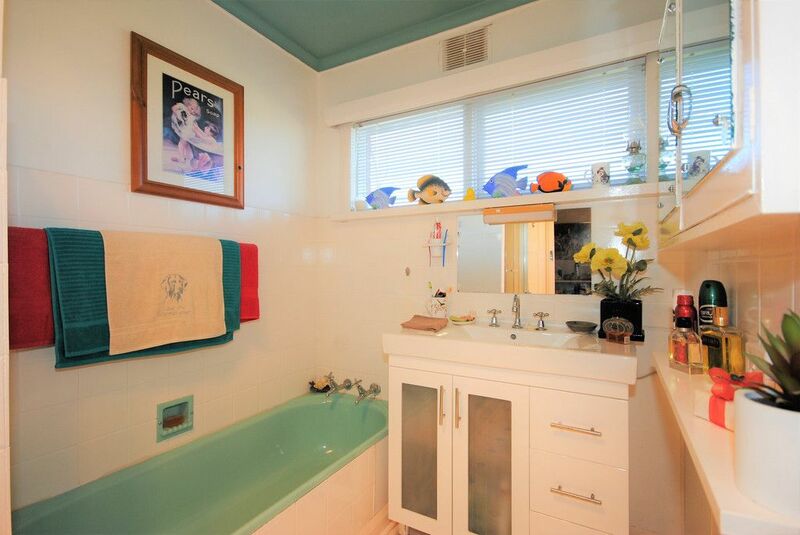 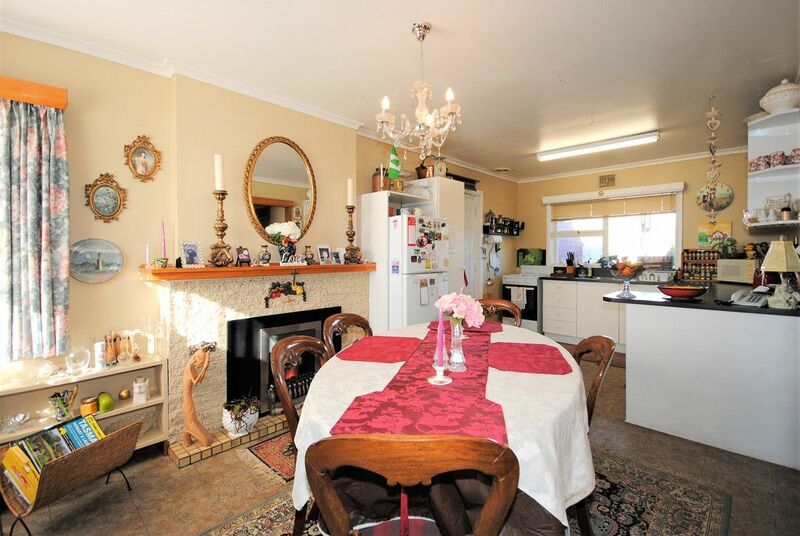 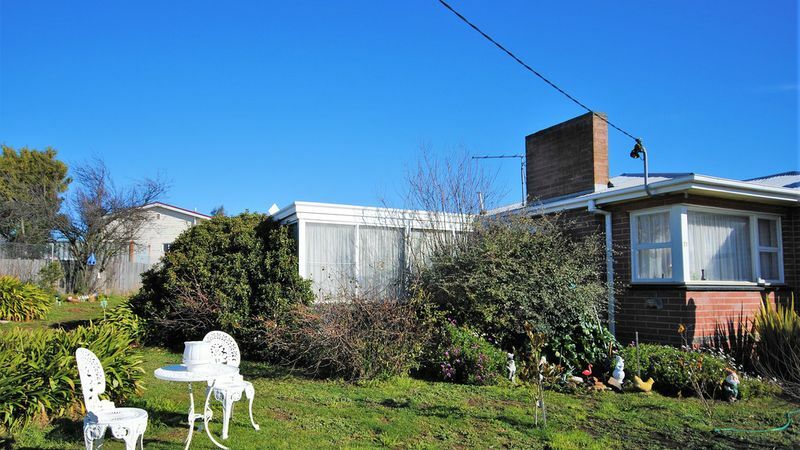 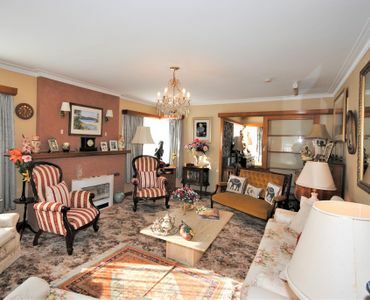 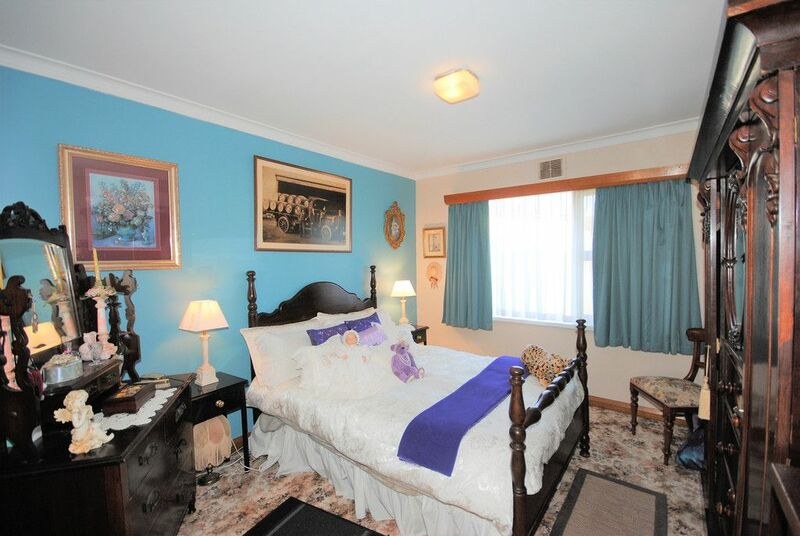 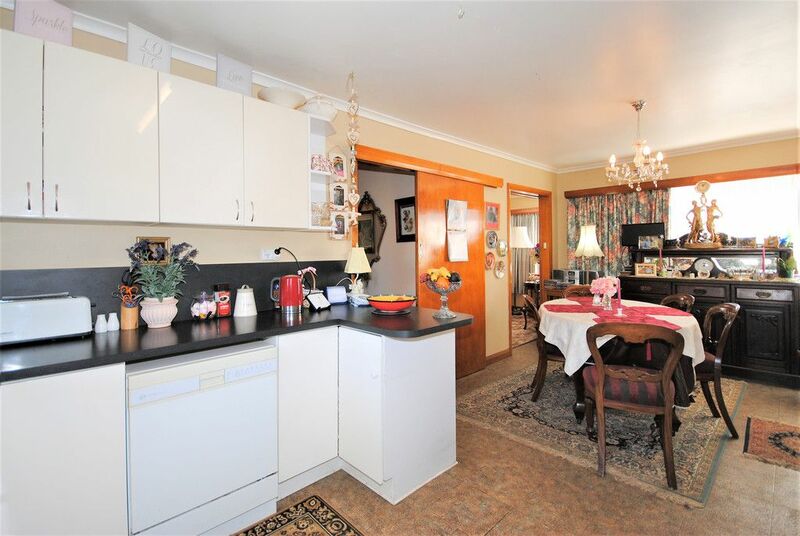 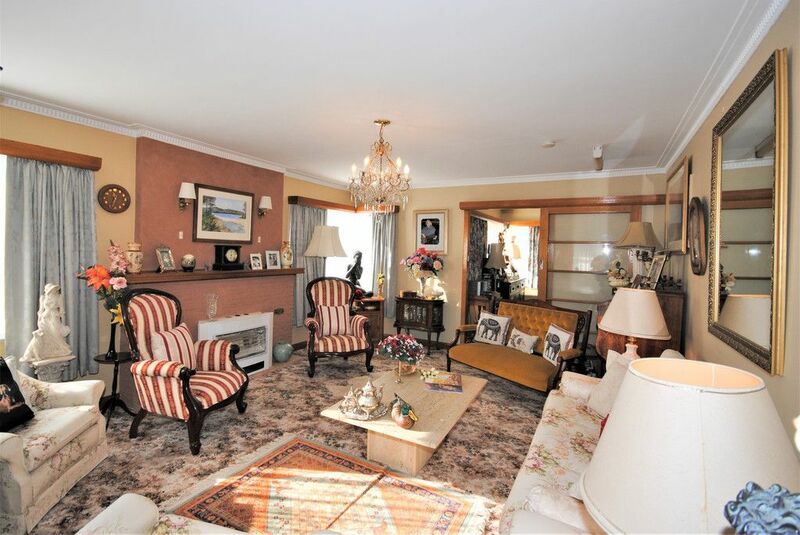 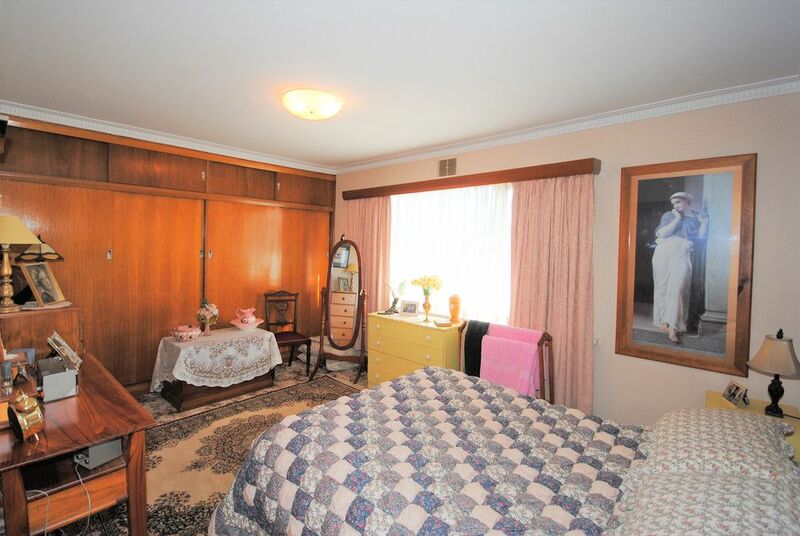 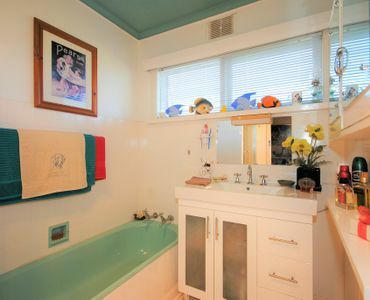 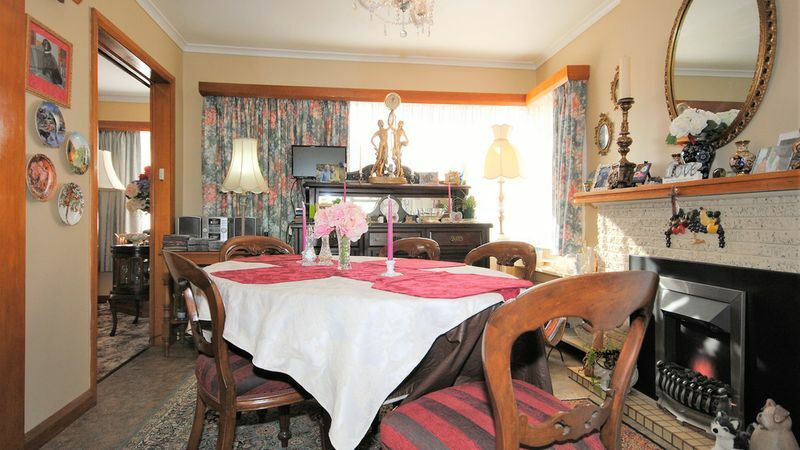 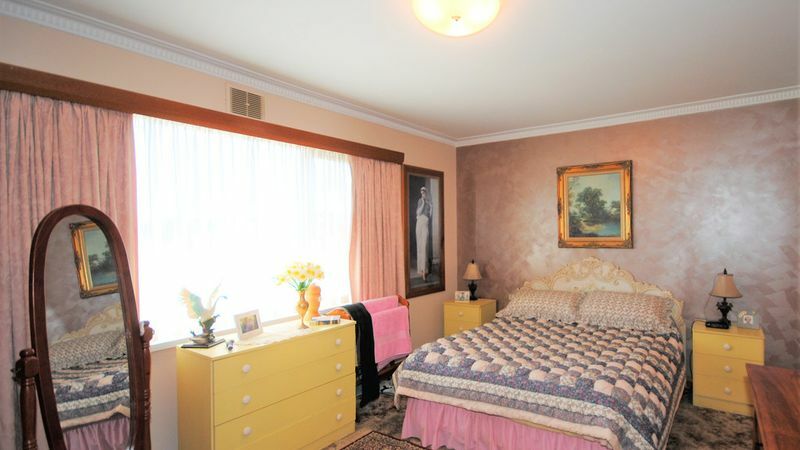 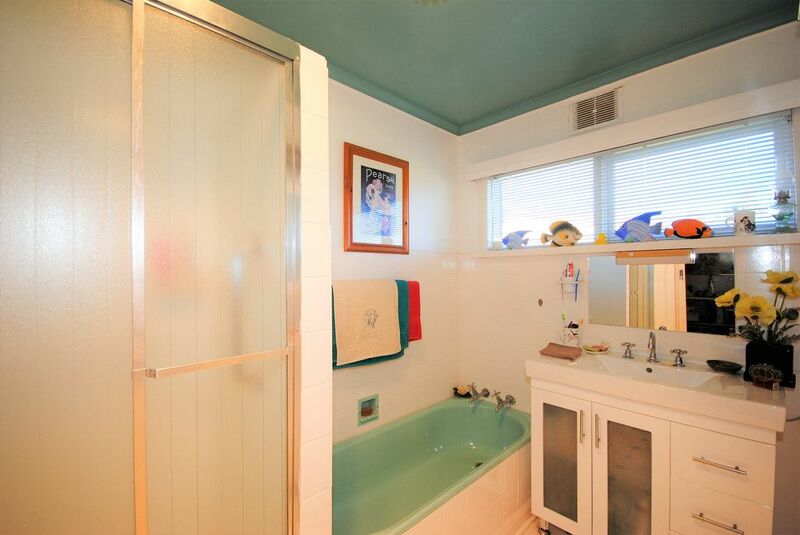 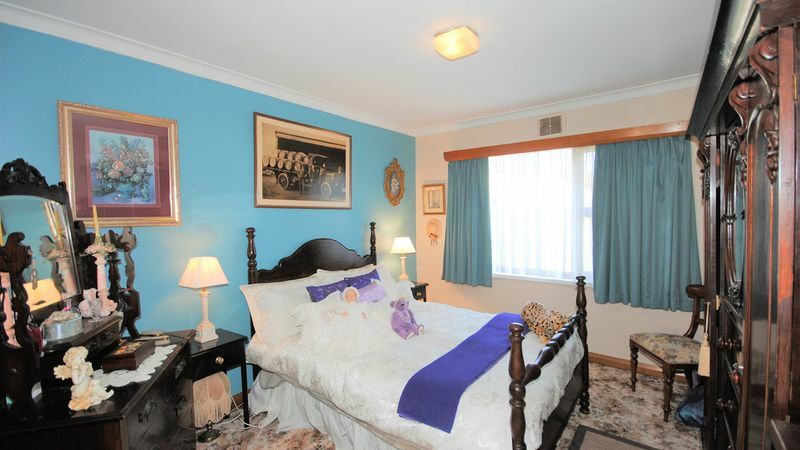 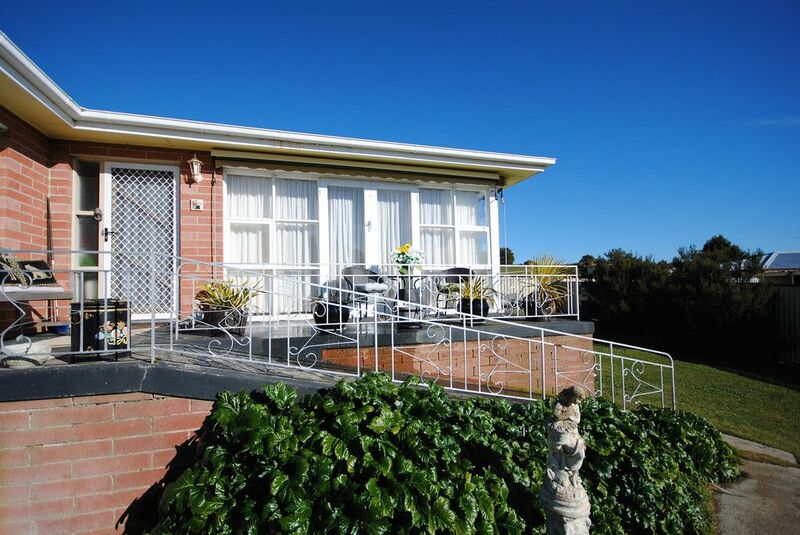 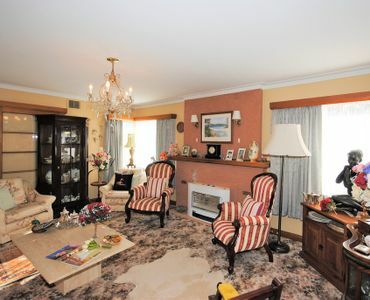 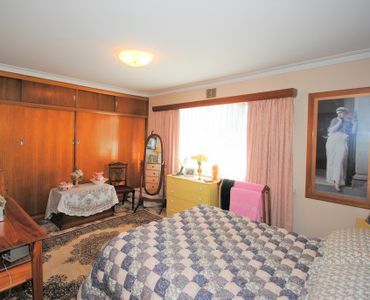 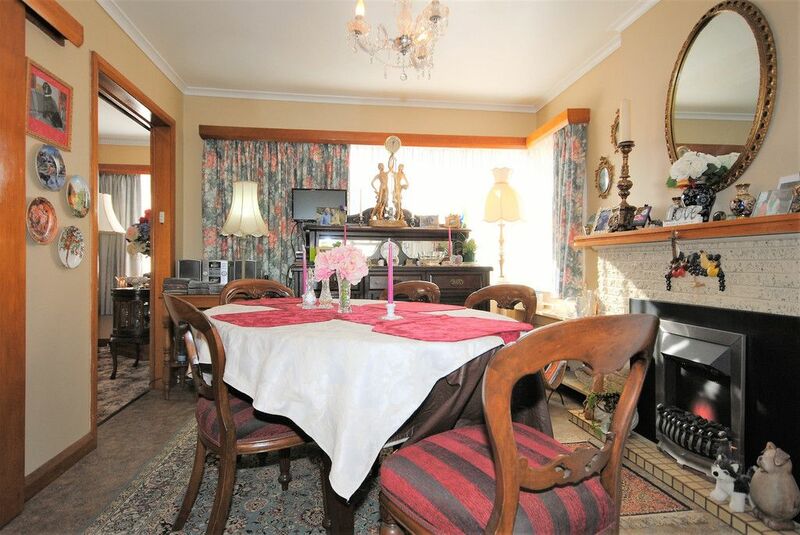 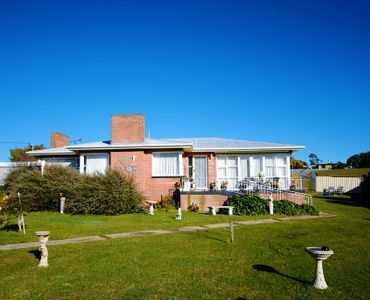 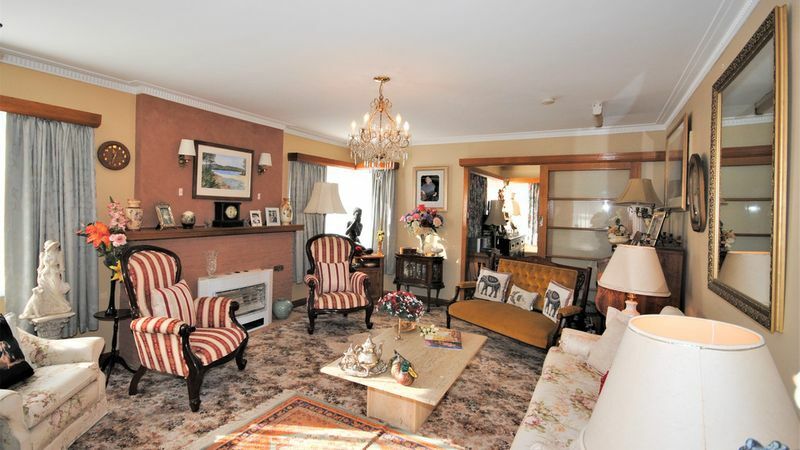 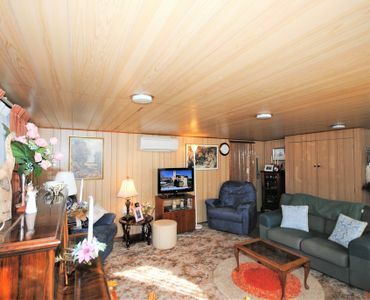 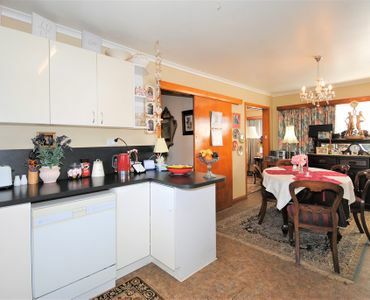 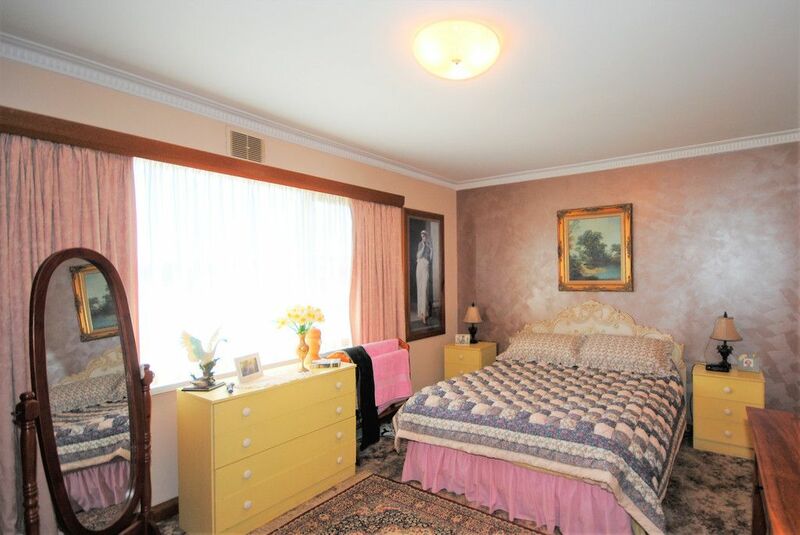 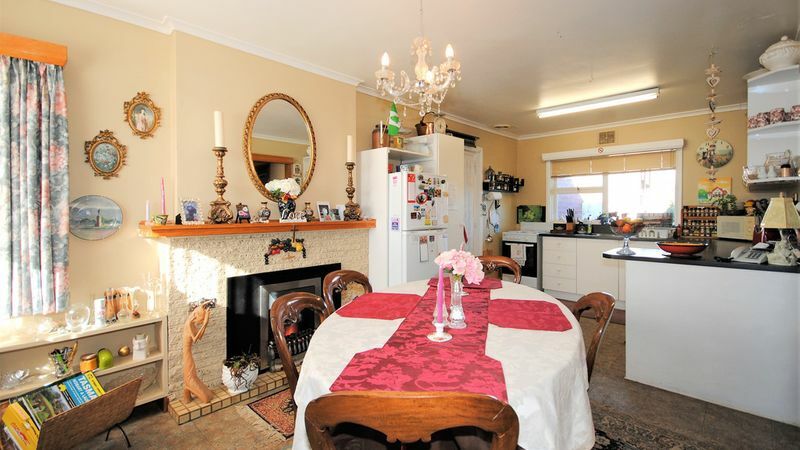 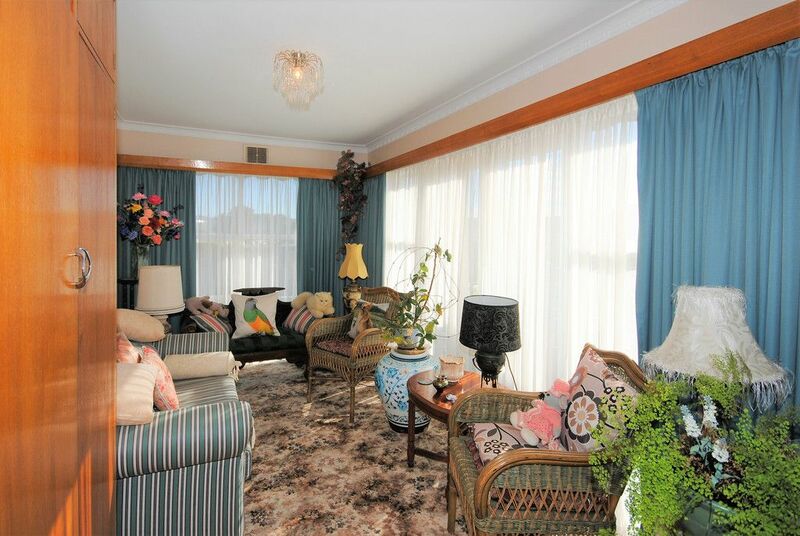 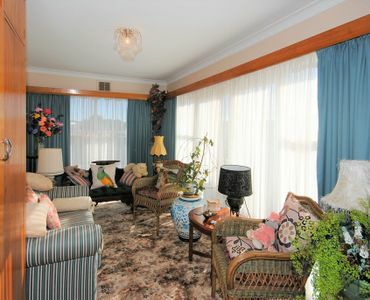 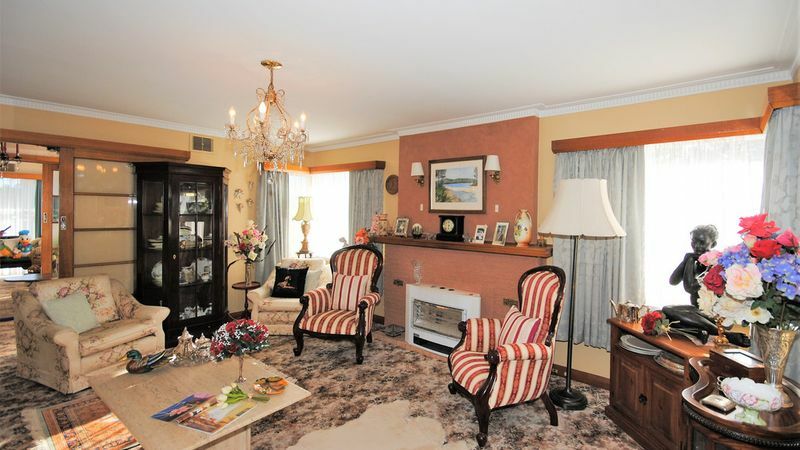 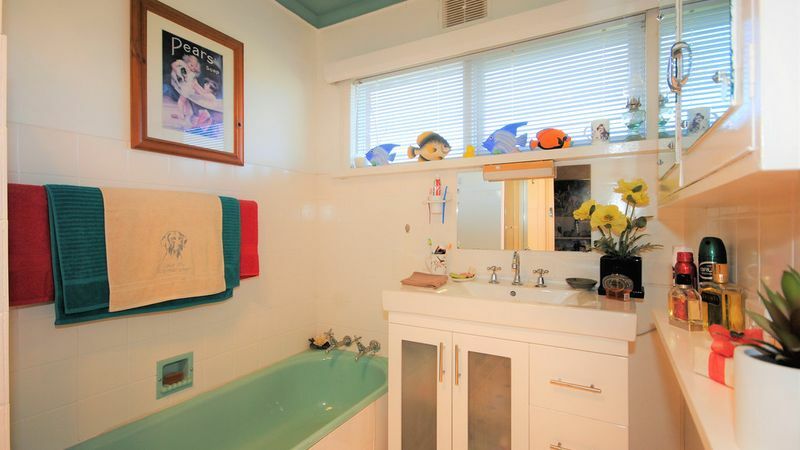 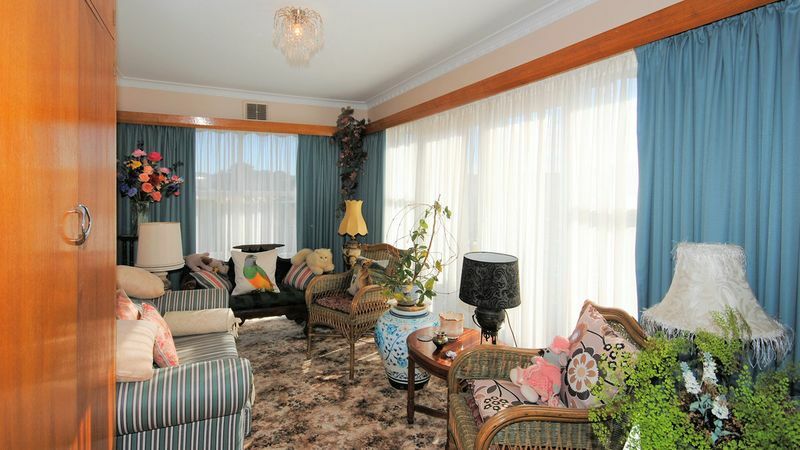 It offers 2 double bedrooms plus a single bedroom / sunroom with French doors opening to the front deck and 2 have built-in robes; a lovely lounge room which opens to the dining and kitchen; a bathroom with separate shower and bath; a powder room; and a rumpus / home office (NBN is connected). 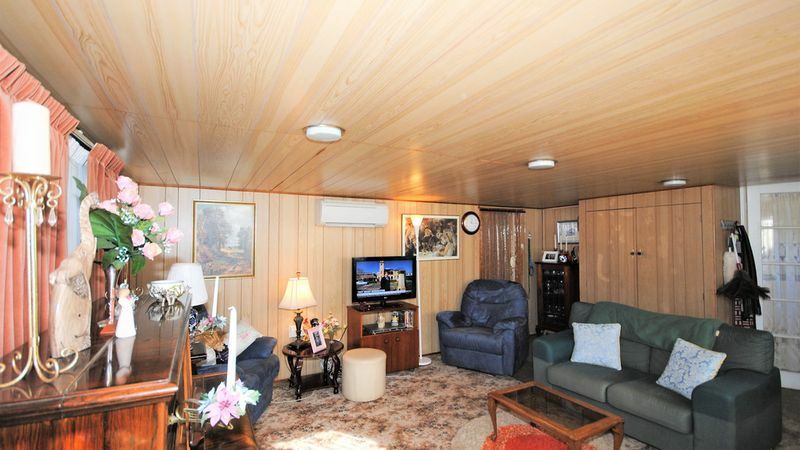 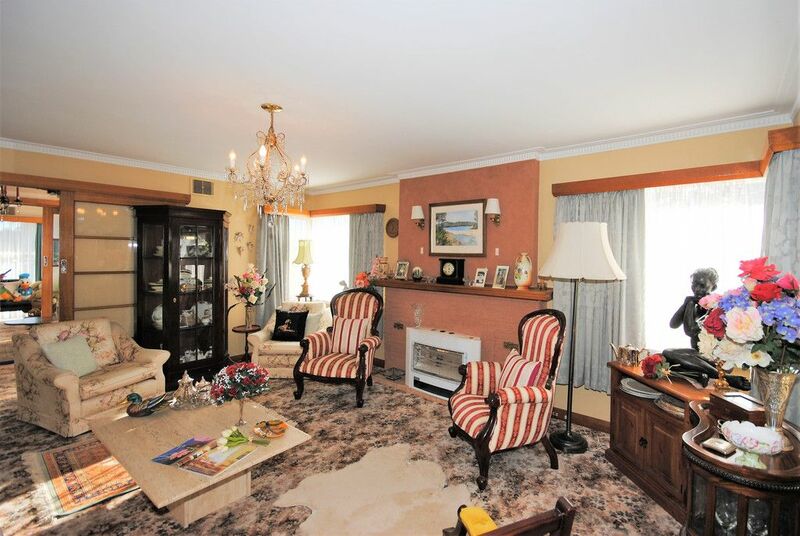 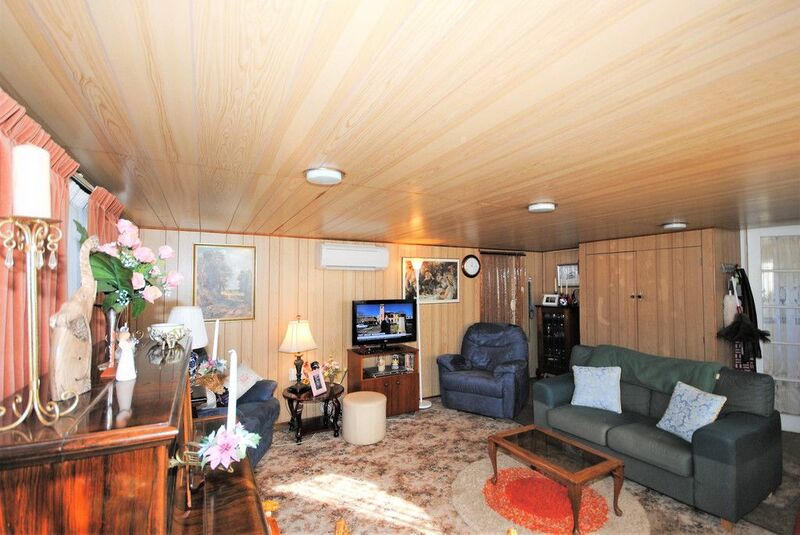 A large carport attached to the house has internal access to the rumpus room. 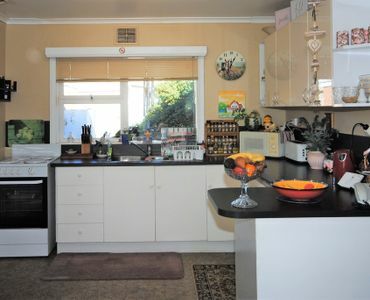 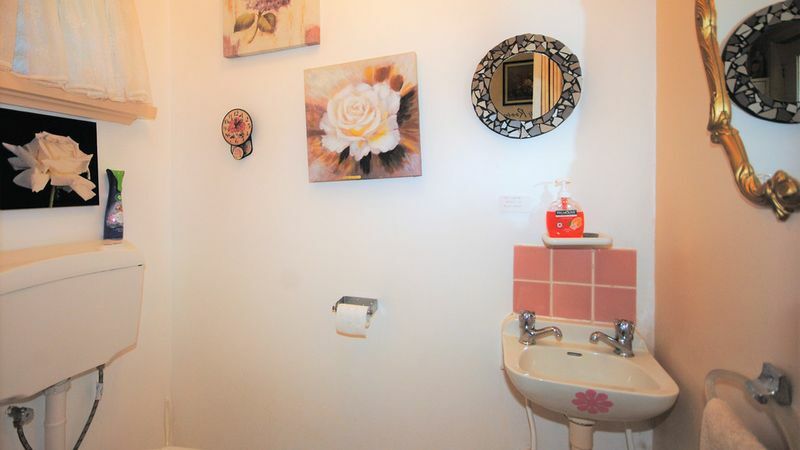 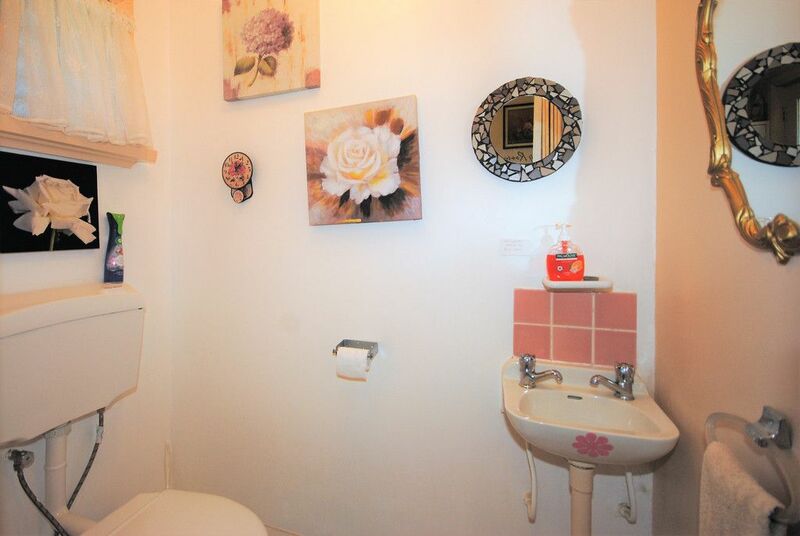 The current owner has painted the house throughout; installed a reverse cycle air conditioner in the lounge and an electric heater in the dining / kitchen; installed a new hot water cylinder (less than a year ago) and updated the bathroom including a new vanity and Tastic heater / extractor. 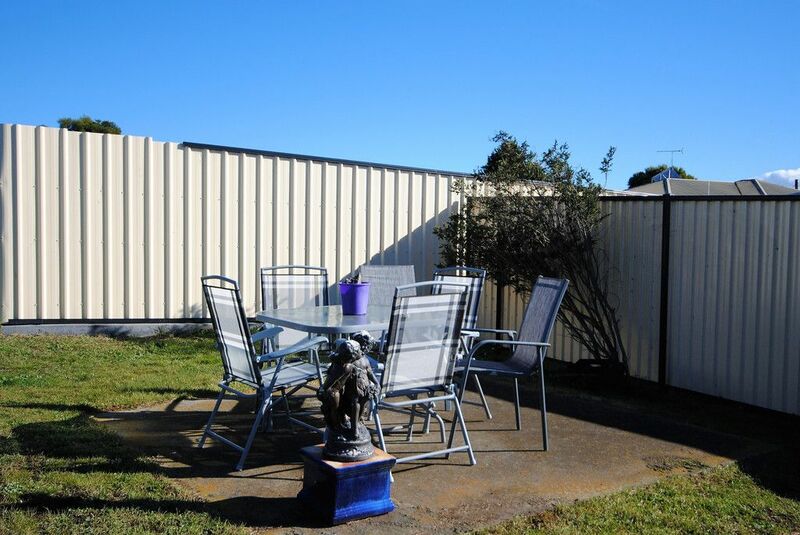 He has also had substantial fences erected around the property for his dogs. 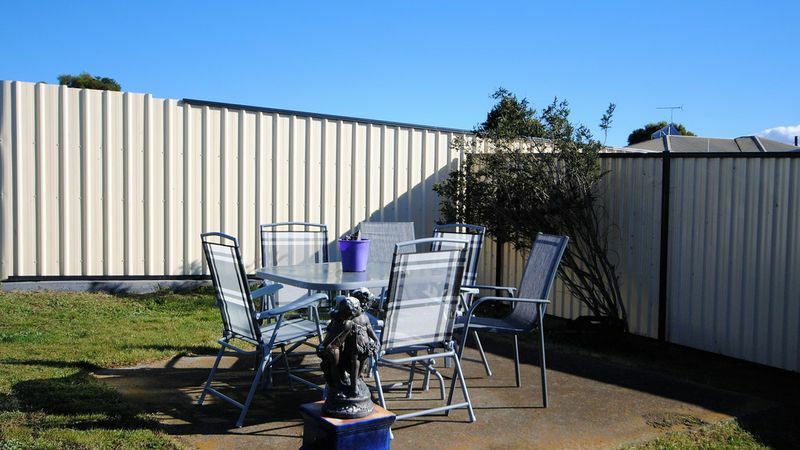 A double garage is close to the house and has power connected making it ideal as a workshop space. 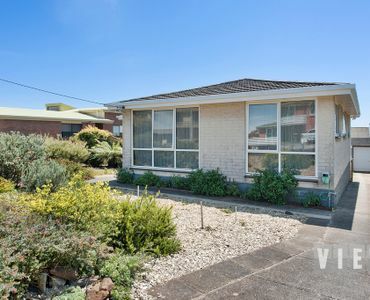 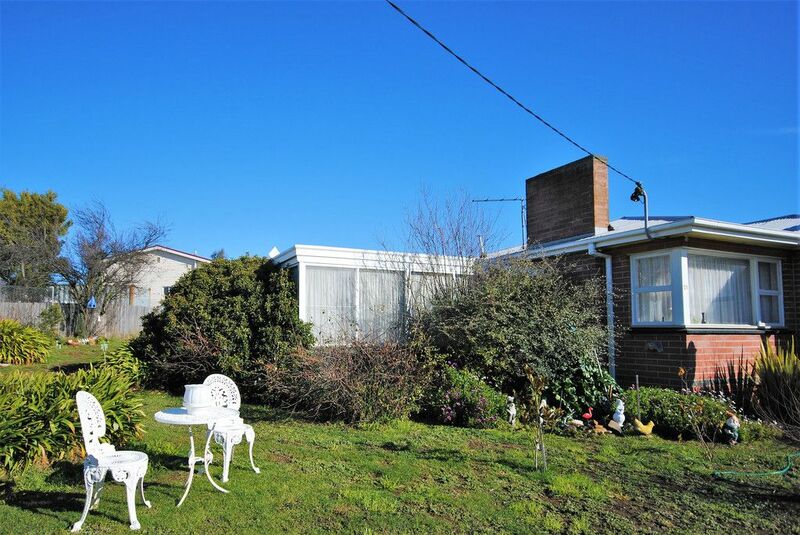 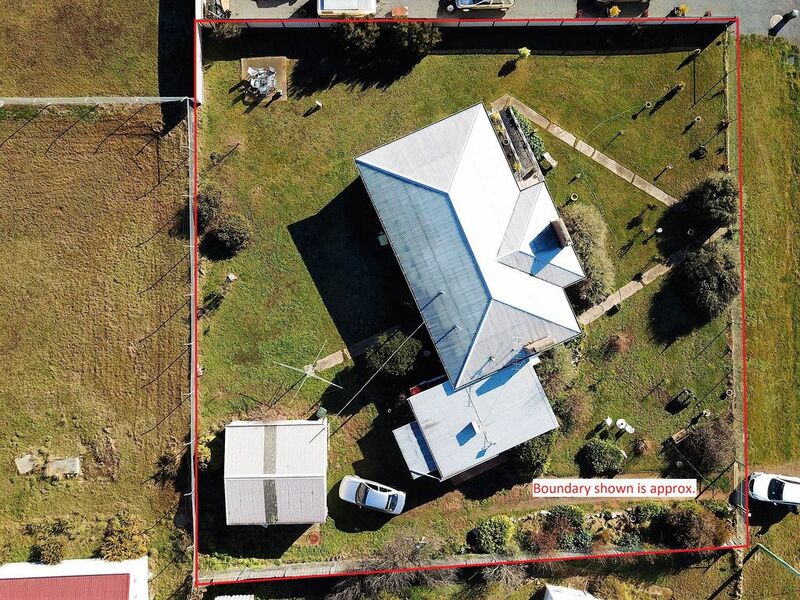 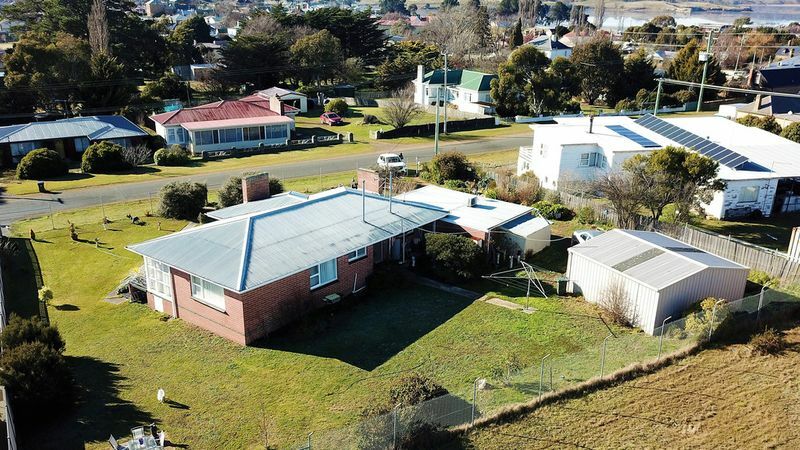 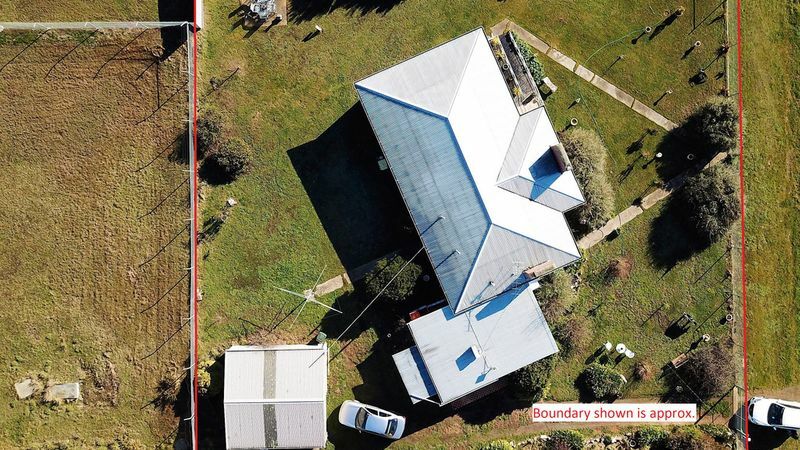 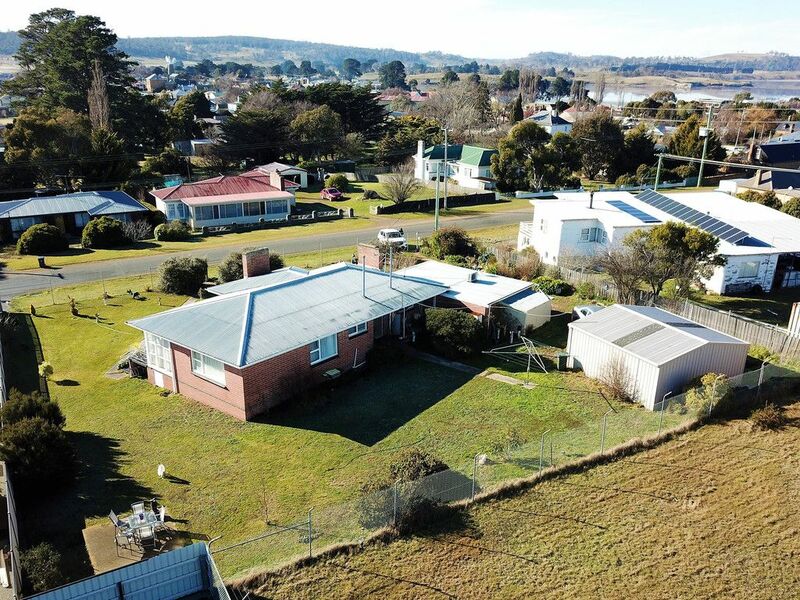 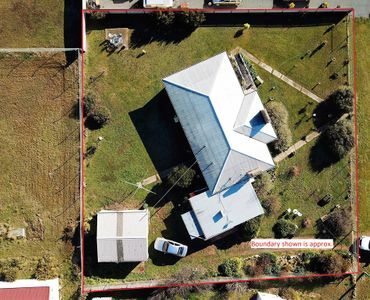 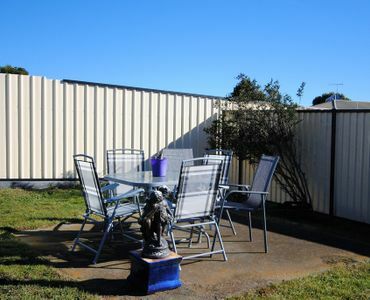 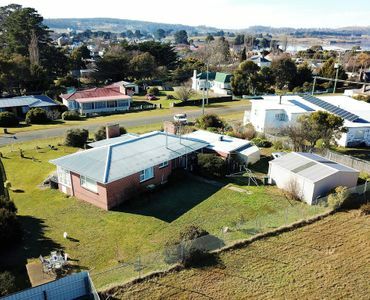 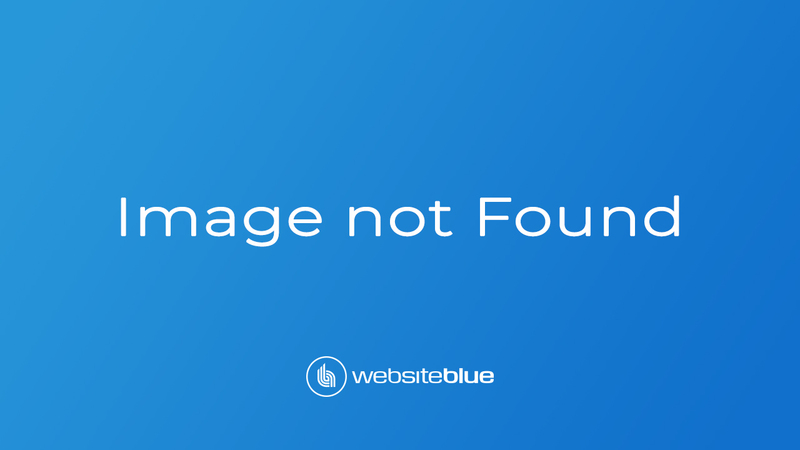 The property has been nicely landscaped, designed to be easy care, and there is plenty of room for more fruit trees, veggie beds and even a chook run. 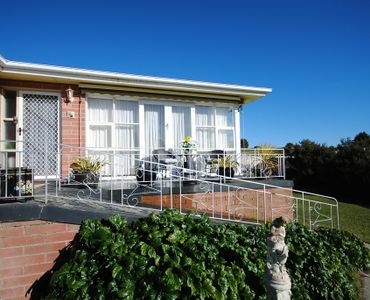 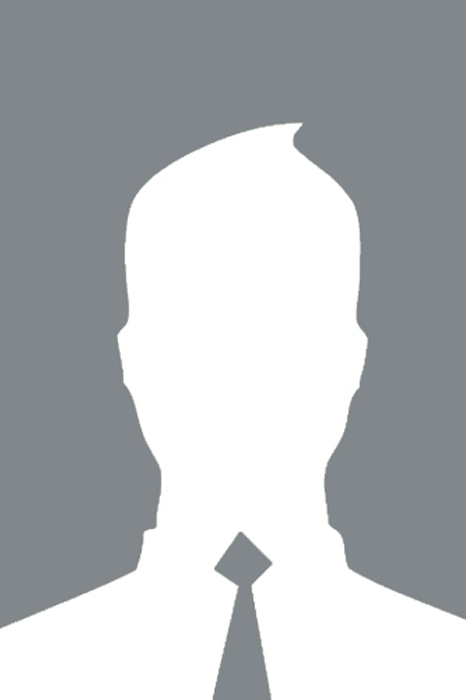 Oatlands boasts a Medical Centre with Aged Care facilities; a District School (Kinder to Year 12); an IGA Supermarket; a Golf Course and Bowls Club; 2 Hotels and an RSL Club; as well as many cafes and specialty shops. 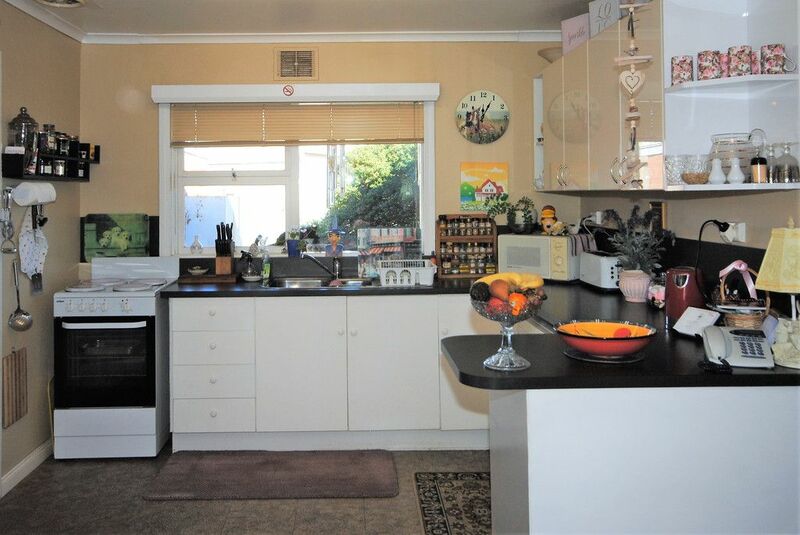 It has a wonderful community with many groups and clubs to join or just enjoy walking around Lake Dulverton and taking in the beautiful scenery. 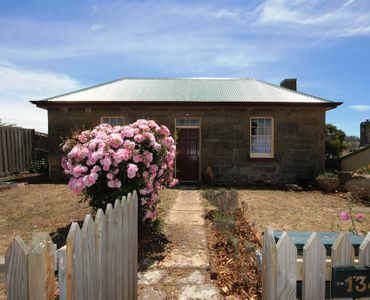 Hobart is around an hours drive away.